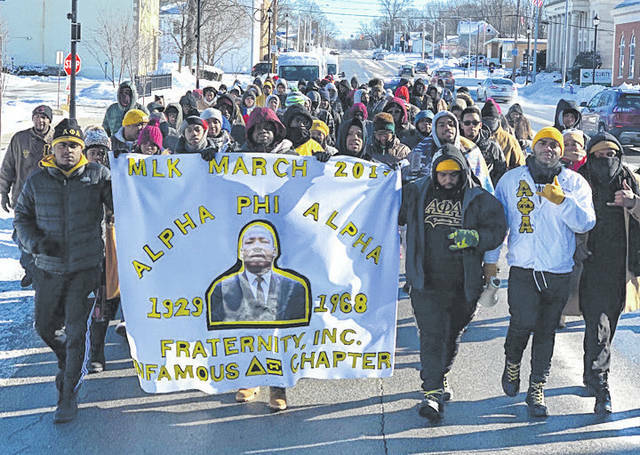 Submitted photos Alpha Phi Alpha held its annual Martin Luther King Jr., day march from Wilberforce to Xenia Jan. 21. 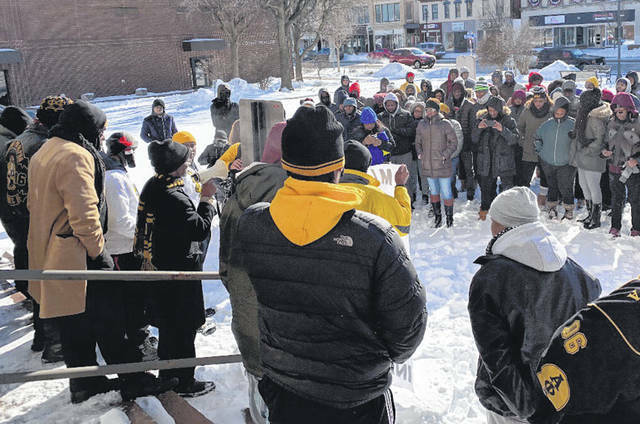 WILBERFORCE — Members of the Alpha Phi Alpha Fraternity Inc., Delta Xi Chapter, held their annual Dr. Martin Luther King Jr. Day March Jan. 21. This is a tradition that has gone on for 35 years. The march began in the Sunken Garden at Central State University and continued down US Route 42, into Xenia. The march ended in front of the Greene County Courthouse where the fraternity welcomed speakers to discuss the importance of the march and what King marched for. The Greene County Democratic Party provided warm drinks before the participants hopped on buses and went back to campus. 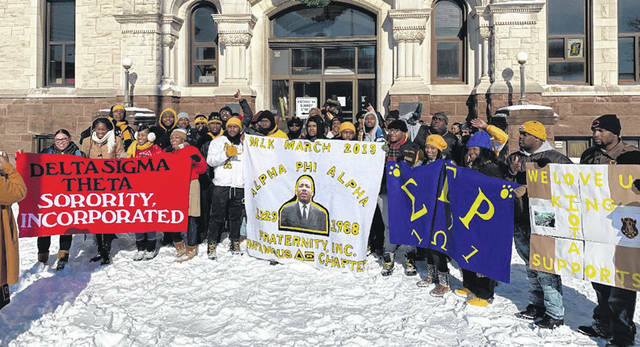 https://www.xeniagazette.com/wp-content/uploads/sites/32/2019/01/web1_MLK1.jpgSubmitted photos Alpha Phi Alpha held its annual Martin Luther King Jr., day march from Wilberforce to Xenia Jan. 21.
https://www.xeniagazette.com/wp-content/uploads/sites/32/2019/01/web1_MLK2.jpgSubmitted photos Alpha Phi Alpha held its annual Martin Luther King Jr., day march from Wilberforce to Xenia Jan. 21.
https://www.xeniagazette.com/wp-content/uploads/sites/32/2019/01/web1_MLK3.jpgSubmitted photos Alpha Phi Alpha held its annual Martin Luther King Jr., day march from Wilberforce to Xenia Jan. 21.